Prices are generally for private arrangements and are per person based on two people travelling together and sharing a room. Price subject to change without notice. Tokyo is an immense assault on the senses that thrills visitors on arrival with its vibrancy and eclectic blend of people, architecture, fashion and food. Wander through the multitude of districts, each with their own unique atmosphere. Encounter the fashionistas, the world famous fish market and try your hand at sushi making with an expert. Arrive in Tokyo Airport, where you will be welcomed by our airport representative, who will also assist you with transferring by shuttle bus to your hotel. The rest of the day is at your leisure. This morning, your guide will meet you at your hotel for a full day sightseeing utilizing Tokyo’s super-efficient metro system. 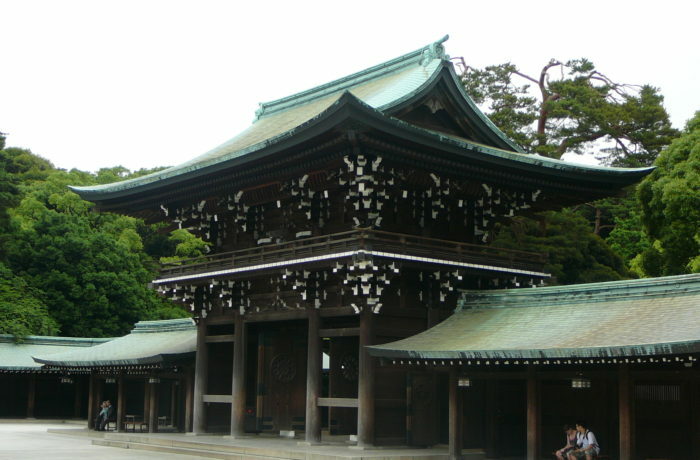 Begin the day with an early morning visit to Meiji Shrine; perfectly timed to avoid the crowds. The Tokyo’s most famous shrine is dedicated to the spirit of the late Emperor Meiji, and the park that surrounds the shrine is a forest that hosts around 120,000 trees of 365 different species, making your forget that you are in the world’s largest metropolis. Next to Meiji Shrine is Harajuku, Tokyo’s youth fashion mecca. Whether you are a Goth, a punk or somewhere in between, there is a shop in Harajuku that caters for you. Neighboring Harajuku is Omotesando, which is commonly referred to as Tokyo’s Champs-Elysee. This broad, tree-lined avenue features a multitude of fashion flagship stores designed by internationally renowned architects. Feel free to stop for a coffee in one of the area’s many stylish cafes and watch the beautiful people walk by. From Omotesando, take the metro to Ginza. Named after the silver coin mint established there in 1612, Ginza is Tokyo’s most famous upscale shopping, dining, and entertainment district. 1 sqm of land is worth over 10 million yen (€ 90,000). Adjoining Ginza lies the Imperial Palace, the main residence of the Emperor. Whilst the Palace itself is not open to the public, you can take a stroll through the Palace East Gardens. Your last stop will be Asakusa, a part of Tokyo’s shitamachi, or old town. Asakusa is the city’s oldest Geisha district and also the home to Sensoji Temple, Tokyo’s oldest Buddhist temple. The streets around Sensoji feature many traditional shops that sell Japanese crafts and souvenirs and are a delight to wander through. Your guide will meet you at your hotel at 8:30 a.m. and take you by subway to the Tsukiji Fish Market. Take a few hours to wander through this enormous market, exploring both the vegetable and fruit stands plus the impressive seafood section. On offer in the seafood section are more than 480 different kinds of seafood, ranging from fresh fish to shellfish. There may also be an opportunity to see a whole tuna being cut and filleted. After buying various ingredients, participants will visit a typical Japanese home. During the transfer, you can ask your guide any questions that you might have about the Japanese culture and the everyday life in Tokyo. Learn to prepare “maki sushi” (rolled sushi), "gunkan maki" (sushi rice wrapped in a strip of seaweed and topped with soft ingredients), and "nigiri sushi" (sushi rice topped with a slice of raw fish). Following the tour, you may take with you the utensils used in the cooking lesson. Impress your family and friends with your new sushi-making skills by throwing a sushi party at home – the perfect Japanese souvenir! The afternoon is free for you to explore Tokyo. Today is free for you to explore this amazing city. Mix with the otaku (anime fans) and visit maid cafes in the electronics district of Akihabara, discover Tokyo’s world-class museums and art galleries in Ueno and Roppongi or get a glimpse of the future at Tokyo Bay’s Odaiba development. Alternatively, if you need a break from Tokyo’s hectic pace, you can choose to make an excursion outside of Tokyo to the delightful seaside town of Kamakura (at additional expense). One of Japan’s former capitals, Kamakura is a home to many ancient temples and the Daibutsu, a giant bronze Buddha. Located just an hour by train from Tokyo, Tokyoites flock to the beaches here in the summertime. There are a number of factors which will influence the price of your travel arrangements, including the standard of hotel (we offer a variety of standards from first class to deluxe), the season, the duration of your trip, the level of private guiding and the complexity of the itinerary.